The children's chorus at the Met is chock-full of talented kids, and, not surprisingly, many of them grow up and go on to pursue musical professions. In our first of many profiles, we meet Bryan Zaros, who spent six years with the Met as a youngster, and learned many important lessons that would serve him well in his future musical career. All of us have, most likely, pulled an all-nighter at some point in our lives. For the former Met Children’s Chorus member Bryan Zaros, his first was as a twelve-year-old. “I had to work very hard to make up the work I missed [due to Met rehearsals and performances]. I remember I had some reading assignment, I had to write an essay, it was due the next day. My parents were like, alright we’re going to bed. You need to finish this... I did my first all nighter.” Juggling the rigorous rehearsal and performance schedule along with school responsibilities is a huge commitment for these youngsters. A modern-day Bryan Zaros, conducting Brahms 4th Symphony. In fact, his six years in the Children’s Chorus set him on the path to dedicate his life to music. Soon after joining the Met chorus and discovering his love for singing, he joined the Church of the Transfiguration Choir of Men & Boys, and built an impressive career as a boy soprano. Bryan is now an up-and-coming conductor and has been the Associate Choirmaster at the Cathedral of Saint John the Divine since 2016. 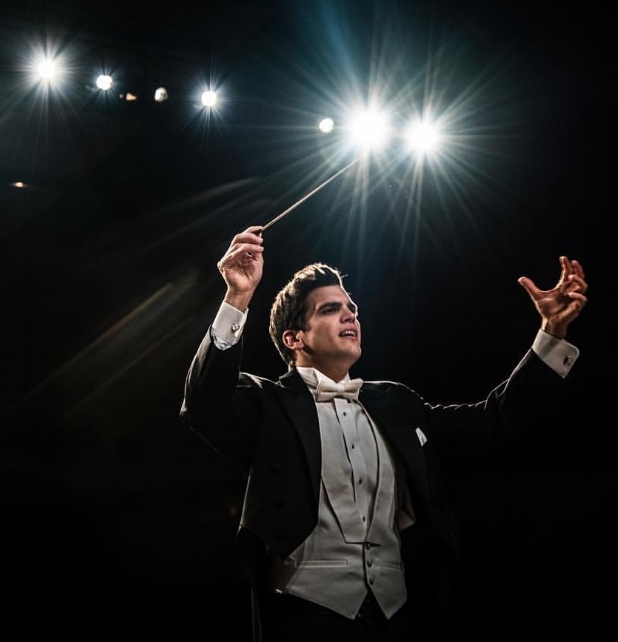 He was just recently appointed Music Director of the Pro Arte Chorale, and is finishing his Doctor of Musical Arts degree in Conducting at the Manhattan School of Music. Bryan (center, in brown vest) in the 1996-97 Zeffirelli production of Carmen. As a nine-year-old boy, however, he never would have imagined this path for himself. His mother dragged him to the Children’s Chorus audition. 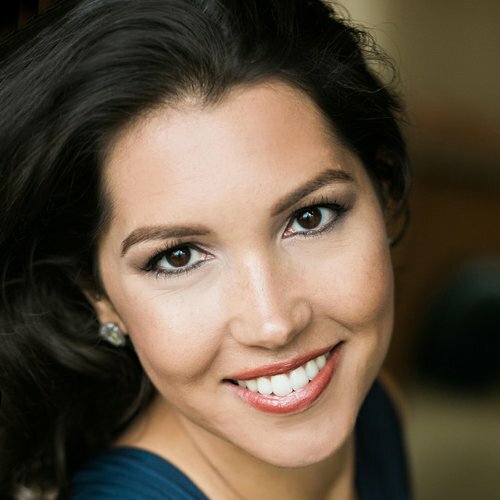 She heard Itzak Perlman on a radio interview talk about his daughter’s involvement in the chorus, and latched onto the idea for her own children, Bryan and his younger sister. Though he had been studying piano and percussion, the idea of singing in a chorus was much less appealing than soccer and baseball. Much to his surprise, the audition itself is what sealed the deal. Elena Doria had him sing “Happy Birthday” in several different keys, did some vocal warm ups with him, and spoke a bit about vocal and breathing technique. He loved it, and was asked to join right away. His sister joined later that year. Thus began his family’s life at the Met. His parents attended every rehearsal and performance they were involved in. They would often get tickets for the kids’ teachers and bring them on backstage tours so they could appreciate the significance and importance of the commitment (and understand why they were missing so much school!). Bryan got to know the ushers, the security guards, and the musical staff, and still is in touch with many of them who continue to work there. He still knows the building like the back of his hand due to mid-show “shenanigans” of hide-and-seek. Some favorite memories of his time there were the interactions with the principal singers. He would visit with Pavarotti in his dressing room; Domingo played quarters with the kids in the cafeteria; and once Roberto Alagna gave a bouquet of flowers to his sister. Bryan (center, on the horse) in the 1996-97 Zeffirelli production of Carmen. Even more entrenched in his memory are the life lessons of professionalism and discipline that he learned on his very first day of rehearsal as a super in Rusalka. “I wasn’t aware of the discipline and decorum in rehearsal. I was talking up a storm, I had no idea. Elena ran up to me and kicked me out of the opera.” It was a mistake he never made again. 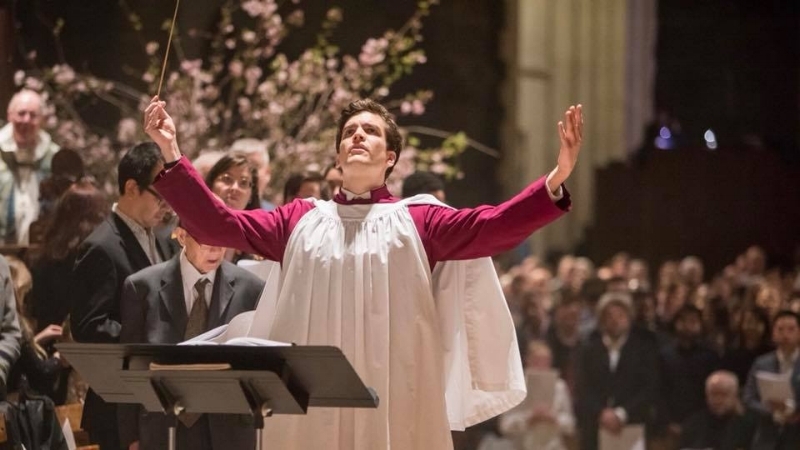 Bryan conducting the combined choirs at St. John the Divine's 2018 Easter service. Sara Heaton began her Met career in 2014 in the Extra Chorus, and joined as a full time member in 2016. When not singing, Sara enjoys cooking, gardening, exploring the outdoors, and tasting her husband’s cocktail creations. They’re proud to make their home in Beacon, NY in the beautiful Hudson Valley.